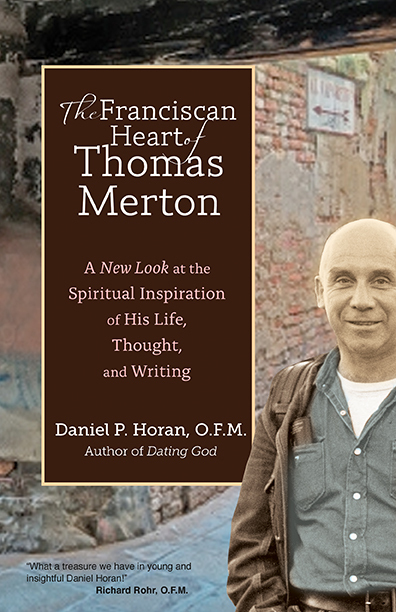 The Franciscan Heart of Thomas Merton: A New Look at the Spiritual Inspiration of His Life, Thought, and Writing is Fr. Dan Horan’s next book and is now available! The publisher writes the following about the book: “Daniel Horan, O.F.M., popular author of Dating God and other books on Franciscan themes–and expert on the spirituality of Thomas Merton–masterfully presents the untold story of how the most popular saint in Christian history inspired the most popular spiritual writer of the twentieth century, and how together they can inspire a new generation of Christians.